Bookings for vasectomy can be taken directly or with a referral from your primary care physician. We have updated our web site and launched a new section to support your total health called maintain. Take a look! Caleb Fleming, MD will now see patients at his new practice, Lakeshore Urology, PLC. The Grand Haven address is 1445 Sheldon Rd., Suite 101, conveniently located on the ground floor of the Harbor Dunes building connected to North Ottawa Community Hospital. Dr. Fleming has privileges at North Ottawa Community hospital, and was most recently practicing with West Shore Urology based in Muskegon since August 2006. He is certified by the American Board of Urology, and is a member of the American Urological Association. 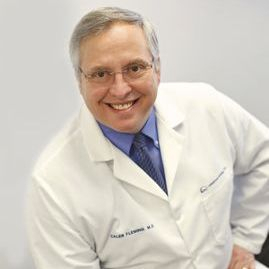 Dr. Fleming received his Bachelor of Arts degree from Kalamazoo College and his medical degree from Wayne State University School of Medicine. He completed his internship and residency at Wayne State University in Detroit, Michigan, then served as Senior staff at Henry Ford Health System where he also taught urology residents from 1989-2006. We encourage patients who have already established care with him at his prior practice to follow him and are accepting new patient referrals honoring most insurance types common to the area. We are now scheduling appointments, please call us at 616-604-8363 or 231-733-7333.